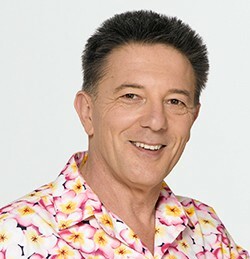 As Australia’s trusted Gadget Guy, Peter Blasina has been the go-to man for consumers for more than 25 years. The Gadget Guy is a regular technology commentator on a broad range of TV and radio stations nationally. Over the past few years Peter has been invited to be an Ambassador for a number of consumer technologies, such as Blu-ray, Digital Radio, and the NBN. Peter contributes a daily blog to his Gadget Guy website and presents a wide range of product reviews and updates on the site’s popular Gadget Guy TV channel. Peter reviews and analyses a broad range of communications, computer, video, multimedia, entertainment and lifestyle products. He was formerly a technology reporter for Channel Nine’s Business Sunday and can be heard weekly presenting both business and technology issues on Nightlife with Tony Delroy on ABC Radio, which is broadcast nationally through 87 ABC affiliate stations.